This cozy, quiet little bungalow is situated in Venice Gardens. with shopping just around the corner. and the community pool and park just down the road. 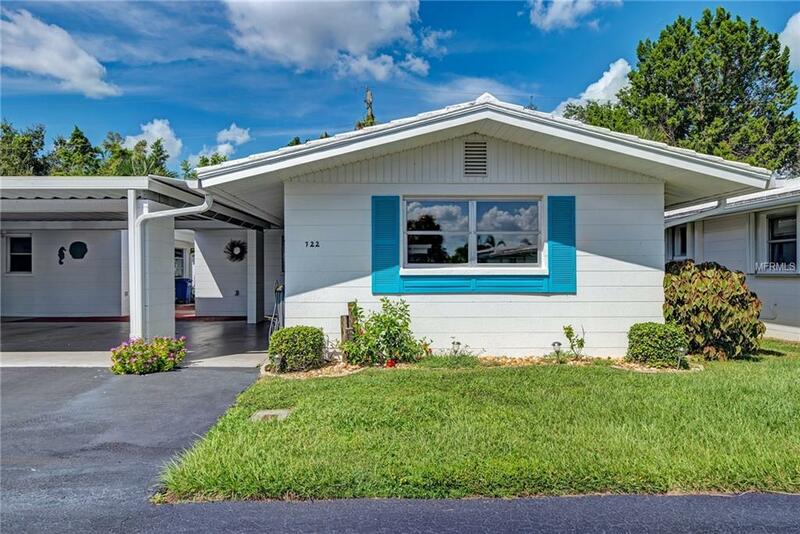 The home has been tastefully updated with tile floors, fresh kitchen, and 16 Seer A/C. There is a room off the living room with pocket doors that can be used as a quiet den, dining room, or possibly be a 2nd bedroom, if so desired.. The unit includes a one car carport and parking for one guest, with additional guest parking across the street. Private Laundry room/storage There is also an attached laundry room just off the carport, and carport area also features a small sitting area. An outstanding location as just a few minutes drive to sandy beaches, Venice Jetties, golf courses, and the unique shops and restaurants of Downtown Venice. If you are looking for a winter get-a-way or a cozy year around home, make sure you take a look at this lovely 'home', you wont be sorry! Additional Lease Restrictions Six Month Minimum Over 55 Community. Amenities Additional Fees Venice Gardens Has A Optional Homeowners Membership For $125 Year For Use Of The The Community Pool Recreation Area Community Center.